Creiden has been proudly serving wide variety of interests, either you are in need for a website or mobile application for your well established business or just a theme to represent your startup, you have definitely heard of Creiden and we promise to support you during your journey and to provide you with the latest Technologies to enhance your life. We have been executing more than 250 projects over the past five years as well as WordPress themes, custom work and digital marketing and we penetrate new markets every now and then because we are always eager to do more and the fact that the IT industry changes regularly so we have to cope with those changes to guarantee the most appropriate business solutions for you . Creiden is a big and diverse organization which provides services at various levels to match all clients different needs. We design and develop Websites, Mobile Applications and Multipurpose themes in the form of Products and offer as well unique custom solutions for agencies as well. As a result; our customers became confused and they face difficulties in understanding what our company exactly offers. In order to Clarify what the organization can do for our customers, we are creating a Brand Architecture by laying out the products structure to make it easier for the customers to find out what they are looking for and to avoid confusion. This restructuring separates business activities that had nothing in common and give better focus to each division in front of our target audience. It helps also in minimizing customer confusion as running things independently makes it easier to address different market segments with different needs and to position appropriate prices for the different services we offer. Creiden goes for “Branded house” approach which means that all products and services provided by our organization bear the organization’s brand name and that is a clear declaration of Creiden responsibility to deliver the same quality by the same creative and talented team work and that the energy of Creiden overall will strengthen every single sub brand. We will start mainly with two sub brands “Creiden Themes and Creiden Solutions”. Creiden themes is specialized in delivering unique WordPress themes & Plugins fussily designed and developed to match our customer’s business needs. They are mainly produced in the form of Products either on Large Marketplaces like Themeforest or through any other marketplace. Creiden Themes helps people who are interested in WordPress themes, WordPress plugins and agencies developing themes for their clients. 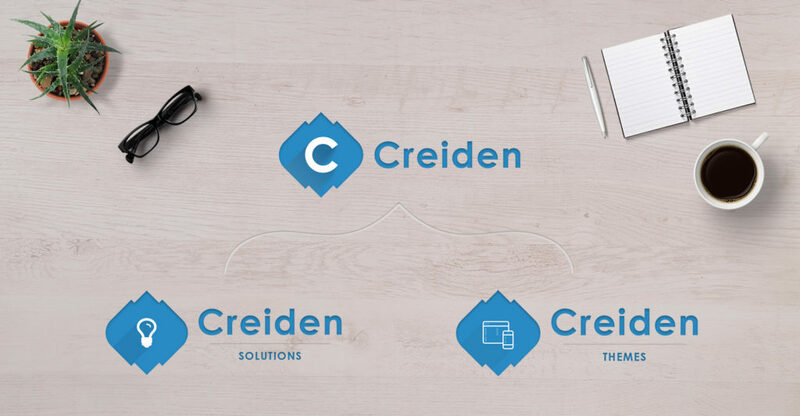 While Creiden Solutions provides business development solutions starting from Technical Solutions, marketing campaigns and plans till we provide full Business Consultancy and Solutions for companies to help them overcome their challenges.This new structure paves the way for more innovative opportunities for our company on the long run. After everything becomes clear-cut , it becomes easier for our customers to choose their own right path. So if you are interested in WordPress themes go ahead and follow Creiden Themes social media to get all the updates about our themes and WordPress themes in general. If you work for an company and you want to develop your own unique website then Creiden Solutions is the right place for you. We Believe that the power of this new strategy will be one of the keys for our future success and helps in establishing deeper bonds with our customers. I make every job I do really authentic. I customize everything for the client, make a design that is best for them.